Light Up Your Day - Create a Circuit Valentine! Explore circuitry using paper, copper tape and LED lights! During this workshop you will become an artist, a scientist and an engineer. 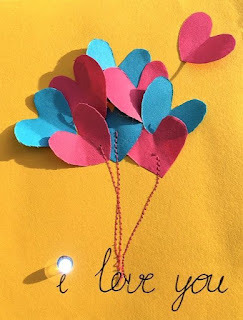 You will not only learn about electricity but also layout, color and other design elements that will help you make a beautiful and memorable light-up Valentine's Card! Space is limited. Please register online or call the library beginning January 18. Accompanying adults do not need to register.